One of the clamors of the Ripple’s XRP enthusiasts is its listing on one of the largest cryptocurrency exchange in the world, Coinbase. Their clamor is probably based on the prowess and status of the cryptocurrency which makes it deserving of a listing on the top cryptocurrency exchange in the world. While the expectation of this lingers, the question to be asked is that, will it ever be listed? Let’s examine why it could be listed briefly. Ripple XRP has garnered prominence to itself as a blockchain project that specializes as a gross real-time system, currency exchange, and a remittance network. This was created by the Ripple Labs Inc., a U.S.-based tech firm. The blockchain project has grown into prominence further through its efforts in becoming the number one remittance payment platform in the world, taking charge of the dominance of the decade’s old remittance system, SWIFT. This goal has been pursued by establishing a partnership with over 100 top banks in the world; in India, the Middle East, and the United States of America. This effort has brought the cryptocurrency many recognitions that have seen its price taken a surge of recent amid the bearish market. Also, its recently launched product, xRapid that aims at utilizing the XRP as a bridge for the fulfillment of cross-border transactions has indicated the cryptocurrency’s success is just starting. It indicates the sky is just the starting point for the blockchain solution. 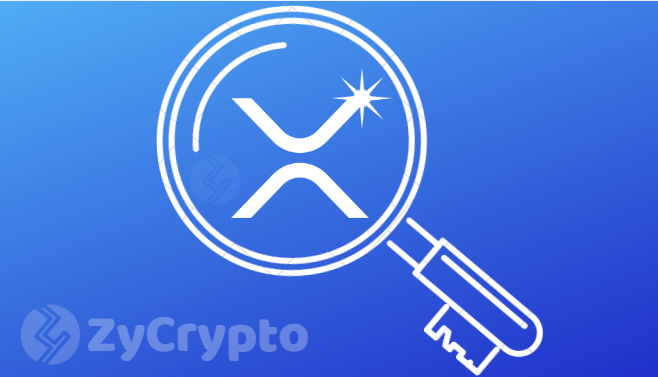 Last month, Coinbase overhauled its listing policy while it also indicates that it will be listing some new cryptocurrencies, which XRP should feature. Though there was no specific mention of XRP as one of the cryptocurrencies to be listed, the news of the possibility caused a 9% surge in the value of XRP when it was reported. Notably, Ripple XRP is the third-rated cryptocurrency globally with a market cap of $17,604,921,119 after Ethereum. The success achieved by Ripple of recent indicates that with or without Coinbase listing, the cryptocurrency is meant for greater success. The recent revelation further affirms this that Ripple is in talks with the Trumps’ administration, According to Ripple’s executive, the fact that XRP’s cannot be mined just like Bitcoin has caught the undivided attention of President Trump. Few Hours ago the Department of Financial Services [DFS] of the United States announced that Coinbase has just received approval from the state department to act as a cryptocurrency custody which implies that the Coinbase Custody Trust Company LLC will at any time offer custodial services for XRP. Though Ripple is not listed at the moment on Coinbase, its listing is only a matter of time, with greater success and popularity in the offing. Disclosure: This Author Holds Investments In Cryptocurrencies.